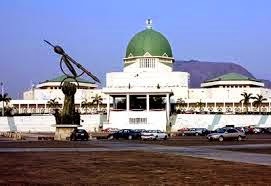 The Senate Thursday passed Oil and Gas Free Zone Amendment Bill 2015 with the intention to enhance Nigeria’s gross domestic product (GDP) and simultaneously address the defects in the original Act. The bill also seeks to enhance the domestication of business activities in the oil and gas sector; promote job creation; foster transfer of skills and technology to Nigerians in the oil and gas industry as well as strengthen the regulatory framework on the operation of free zones in the country. The bill was passed after the presentation of the report of the Joint Senate Committee on Trade, Establishment and Public Service on the bill by the Chairman of the Joint Committee, Senator Odion Ugbesia. According to Ugbesia, Oil and Gas Free Zone in Onne and Ikpokiri was established by Oil and Gas Free Zone Authority (OGFZA) Act 1996 to regulate, control and manage the free zone. However, Ugbesia noted that 18 years after the establishment of OGFZA, the free zones are far from achieving the purpose for which they were established. He attributed this drawback to poor regulatory framework, inherent inadequacies and operational challenges. He said: “The Oil and Gas Free Zone, Onne/Ikpokiri was established by Oil and Gas Free Zone Authority (OGFZA) Act, 1996 as the premier oil and gas free zone in Nigeria. The same Act also established the Oil and Gas Free Zone Authority to regulate control and manage the Free Zone. The amendment bill, he further explained, would address some of the defects in the OGFZA Act by creating a more robust legislative framework to regulate and promote effective operation of the Oil and Gas Free Zones Authority. “Simply put, the Amendment Bill on Oil and Gas Export Free Zone Act CAP 05 LFN seeks to make consequential provisions to the Act for greater effectiveness and efficiency,” Ugbesia added. Furthermore, he explained that free trade zones all over the world are instrumental to the task of boosting industrial and economic growth, recalling that the federal government established Onne Oil and Gas Free Zones to provide greater level of foreign investment, technology transfer, manpower development, employment opportunities and greater economic self-reliance. He added that the most attractive feature of a free zone anywhere in the world is the provision of tax holidays which he said investors enjoyed as an incentive and encouragement for investment. “And this amendment provides just that,” he noted. He also remarked that the Oil and Gas Free Zones Amendment Bill 2015 would ensure socio-economic development of the immediate community where the free zones and sub-zones are located.